The Taipei Winter School in Lie Theory will be held in the National Taiwan University from December 18-26, 2008. Prof. Shrawan Kumar (University of North Carolina - Chapel Hill, USA) and Prof. Raphael Rouquier (University of Oxford, UK) will each give an 8-10 hour lecture series. 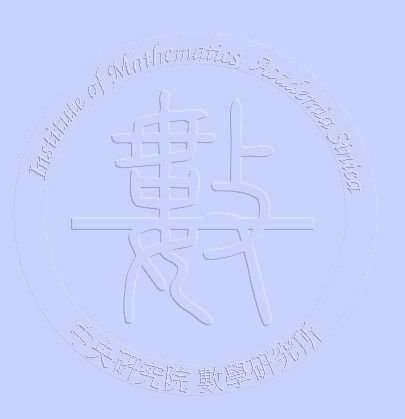 Following the Winter School the Institute of Mathematics of the Academia Sinica, Taipei, Taiwan, will host the Taipei Workshop in Lie Theory from December 28 to December 30, 2008. Below is a list of participants who have agreed to give an invited lecture.